I love working with the team at Chapel Hill in McLaren Vale. They’re good fun, make some great booze and are always do darn polite and lovely. I’ve known some of them for quite a long time and it’s always great to have that kind of relationship with a client. The first image was an idea I’d been thinking of for a while and the first time I’d tried it out. 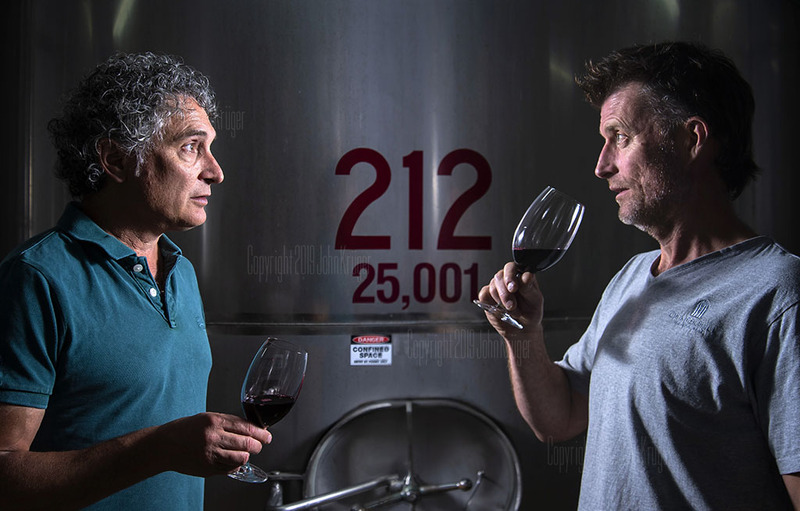 I like the intensity of the two winemakers head-on. The second image was some fun marketing for a new Americano Spritz cocktail in a can (it’s delicious too!) The car actually belongs to the winemaker driving it. Chapel Hill crew with Americano’s. Portraiture, South Australia, Wine. permalink. John Krüger Photography. All rights reserved. Unite Theme powered by WordPress.